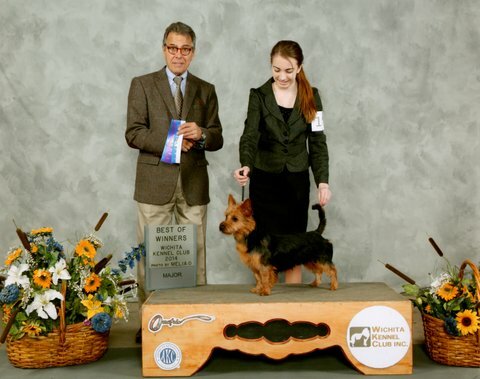 GCH Ch Dunham Lake Goody Two Shoes AX AXJ CGC TKP "Judy"
Judy finished her Championship at 10 months old with her owner/handler Samantha Van Buren. 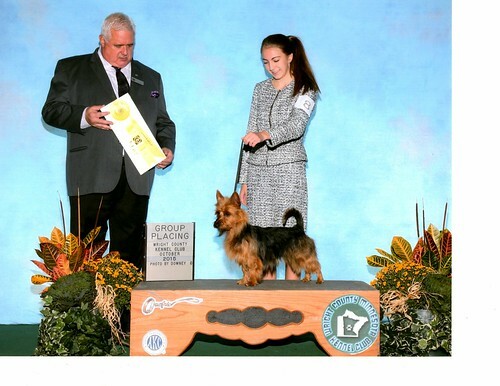 Thank you so much to all the judges that have evaluated and awarded this young Aussie. 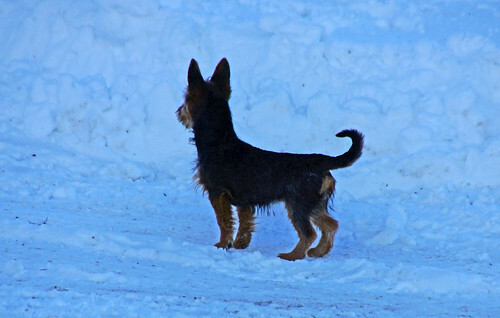 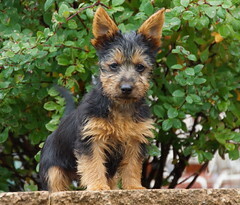 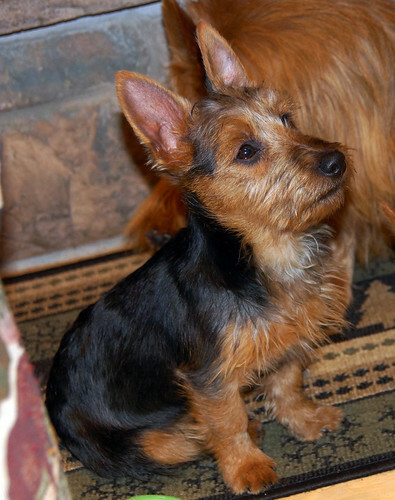 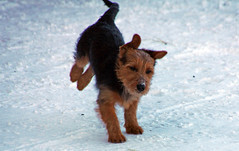 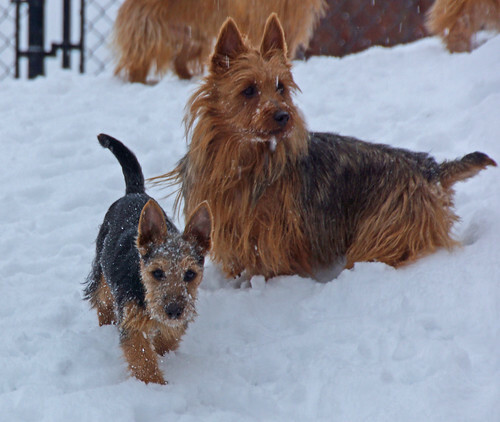 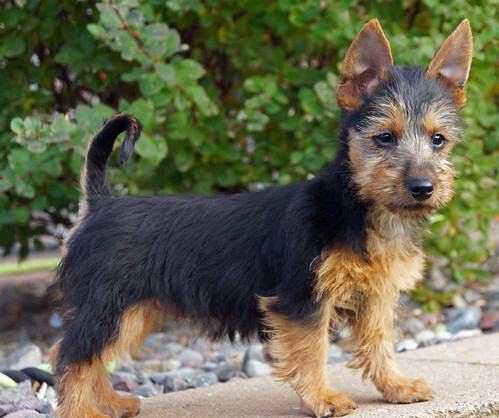 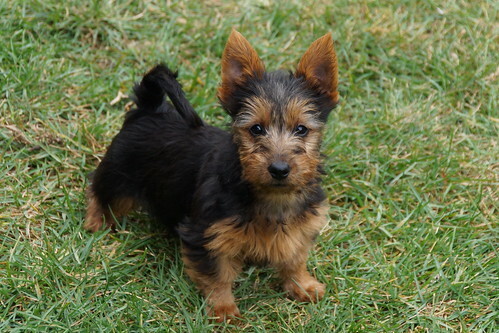 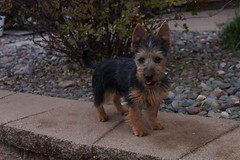 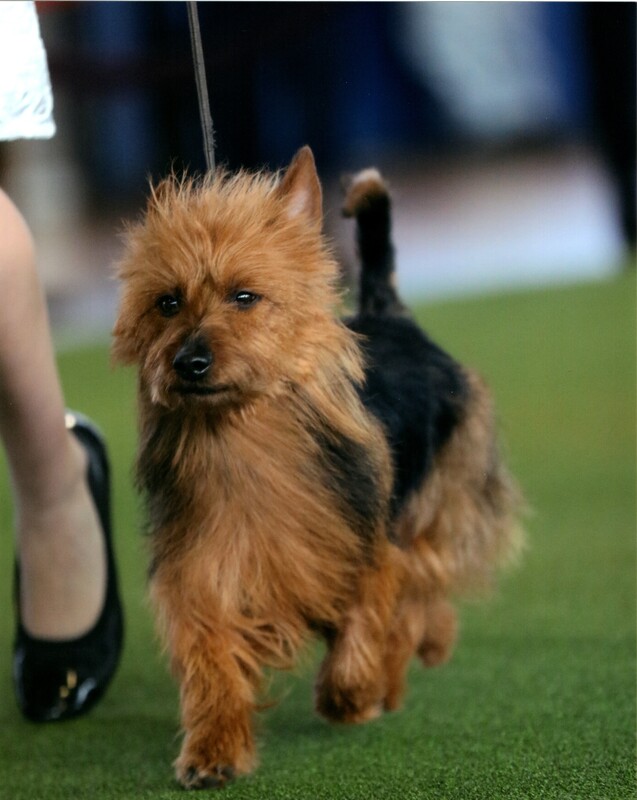 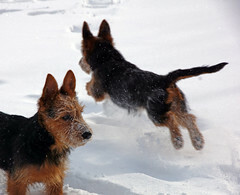 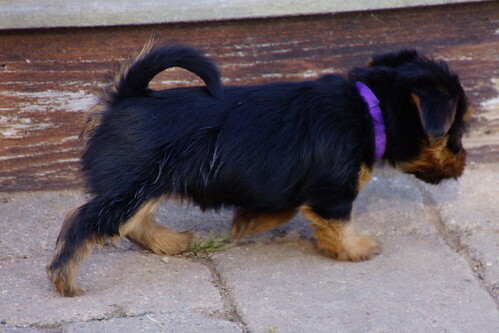 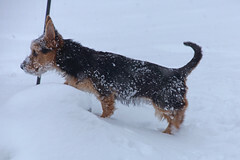 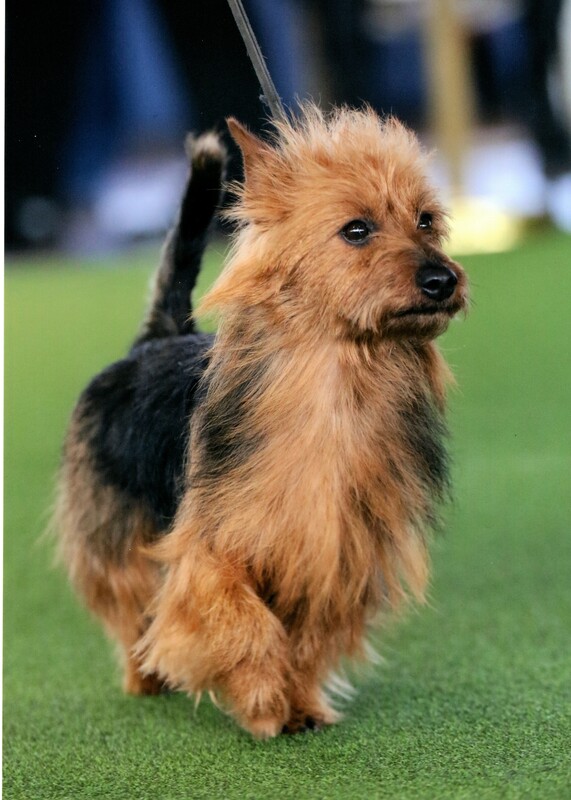 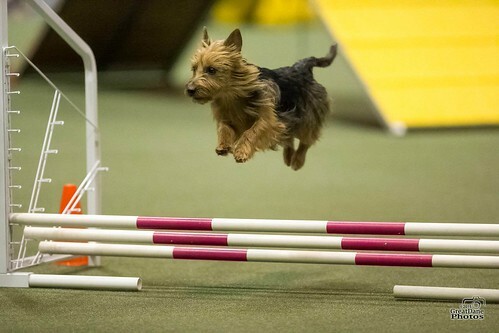 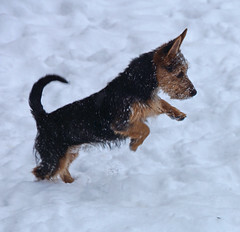 The AKC/Royal Canin National Championship in 2016, and was the first Australian terrier with a natural tail to compete at Westminster in 2017. She finished her Championship under Mr. Randy Garren and Mr. John Wade. Judy and Samantha are an absolutely amazing team! 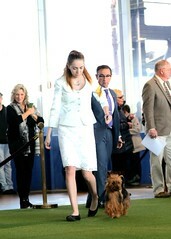 I'm beyond proud of that for their achievements both inside and outside of the show ring. 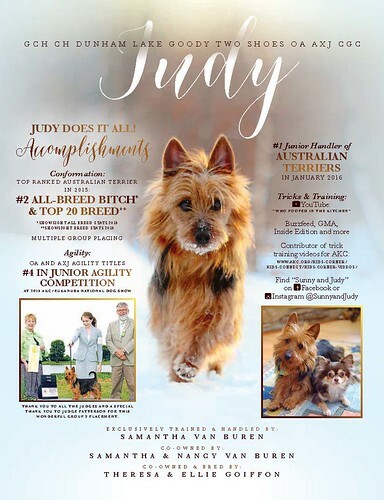 On top of it, Judy has also been awarded a certificate recognizing her as "Achiever Dog", which seems like an understatement to me! 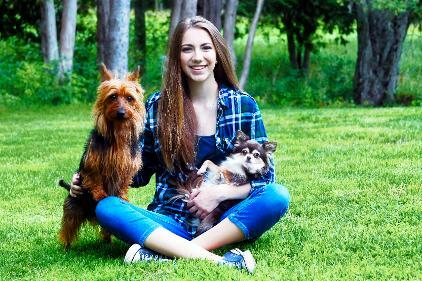 The mastermind behind all of her amazing achievements is my amazing daughter, Samantha Van Buren! 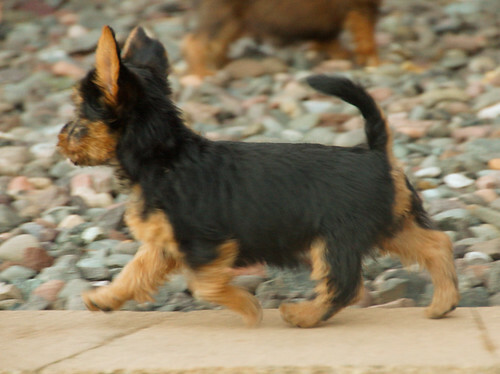 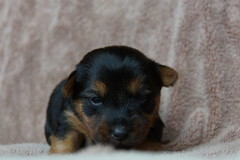 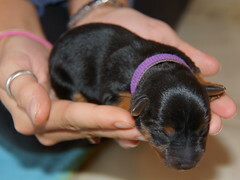 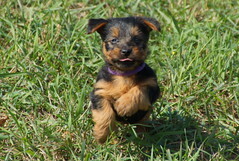 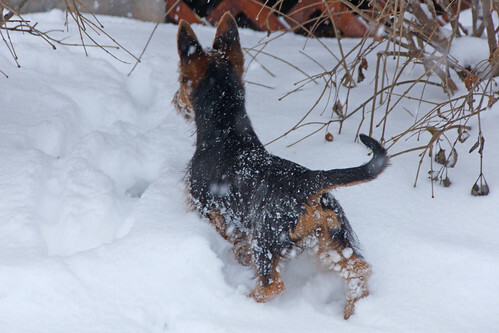 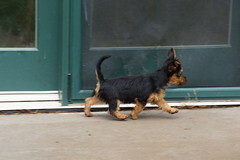 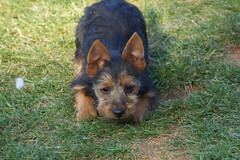 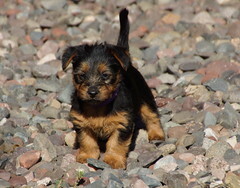 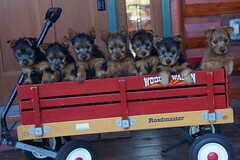 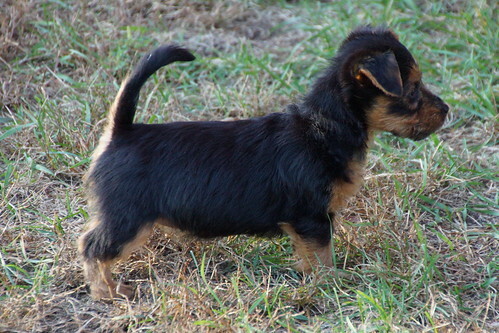 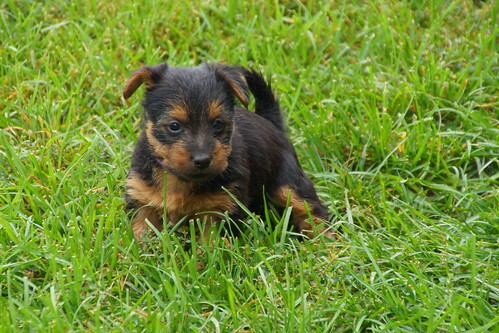 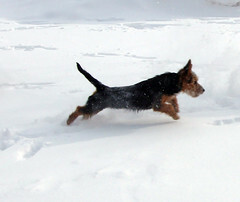 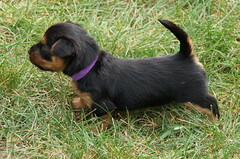 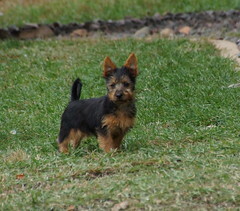 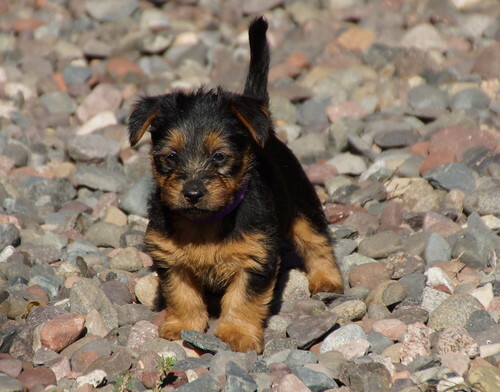 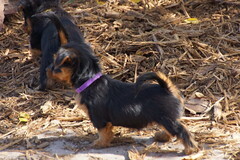 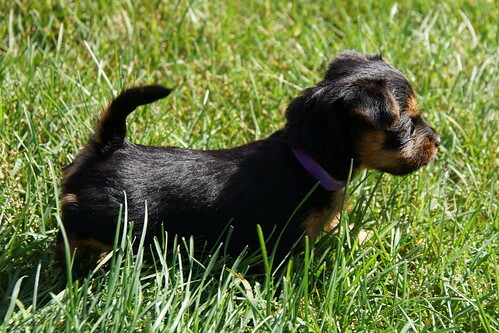 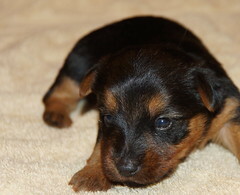 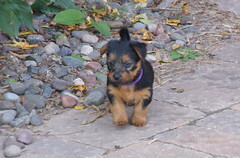 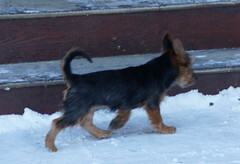 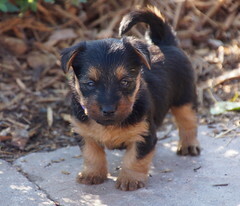 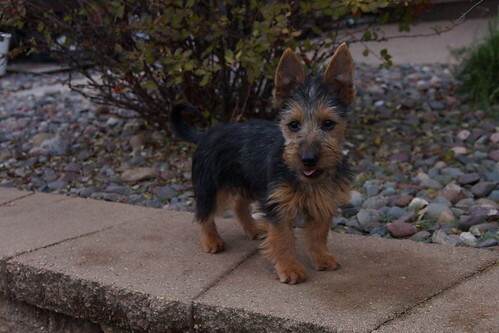 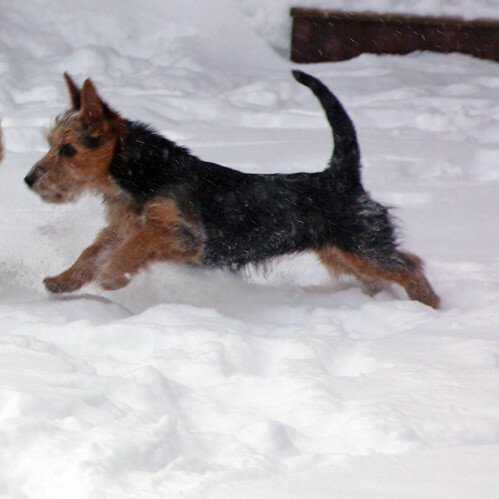 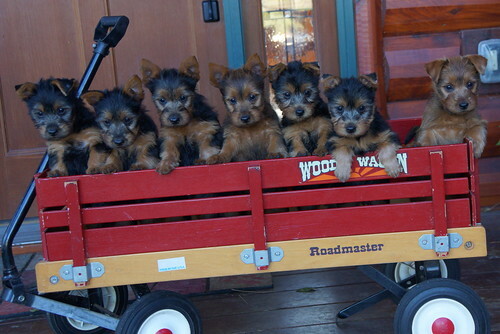 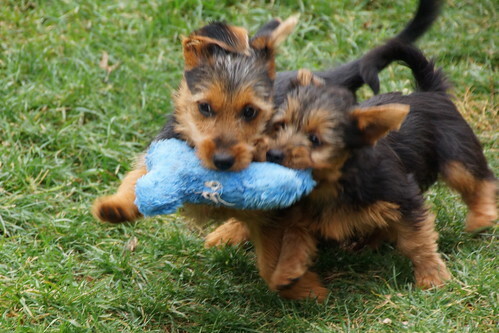 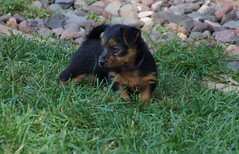 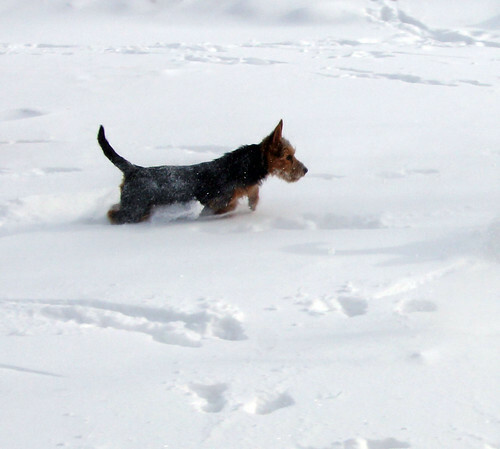 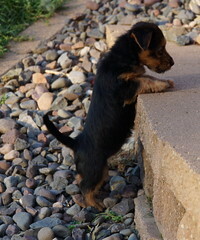 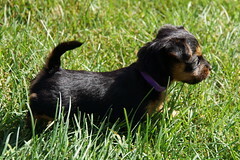 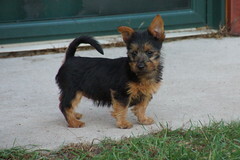 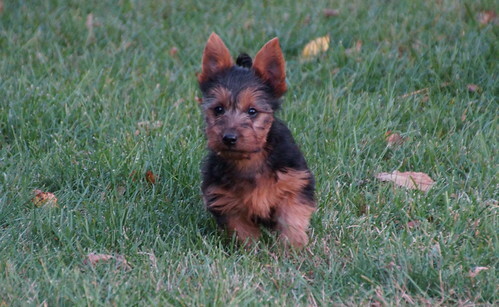 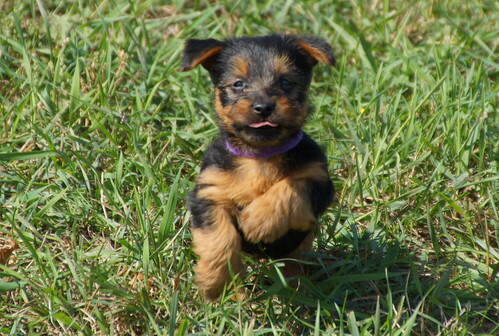 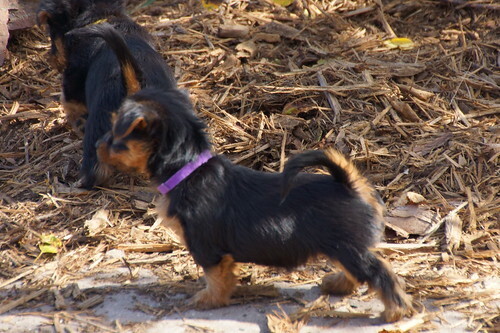 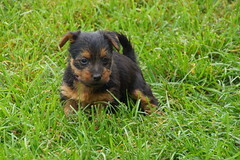 She's been a top Junior handler and has achieved the status of #1 Junior handler of Australian terriers. Just like the article in the AKC stated about her, "Instagram, Training, Junior Showmanship, and More: This Girl Does It All". Congratulations to Samantha and Judy, and congratulations to you, Theresa Goiffon. 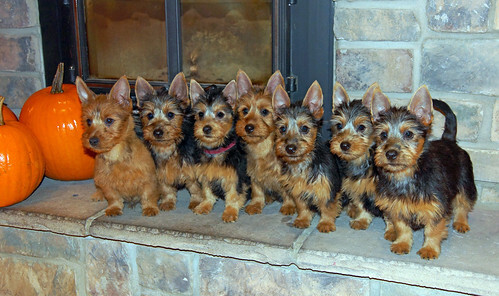 What a wonderful reflection on your breeding program! 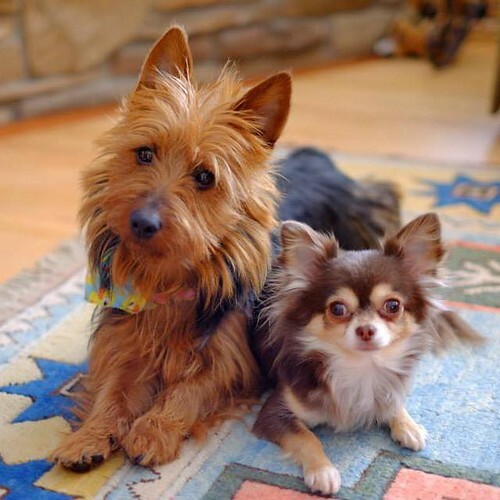 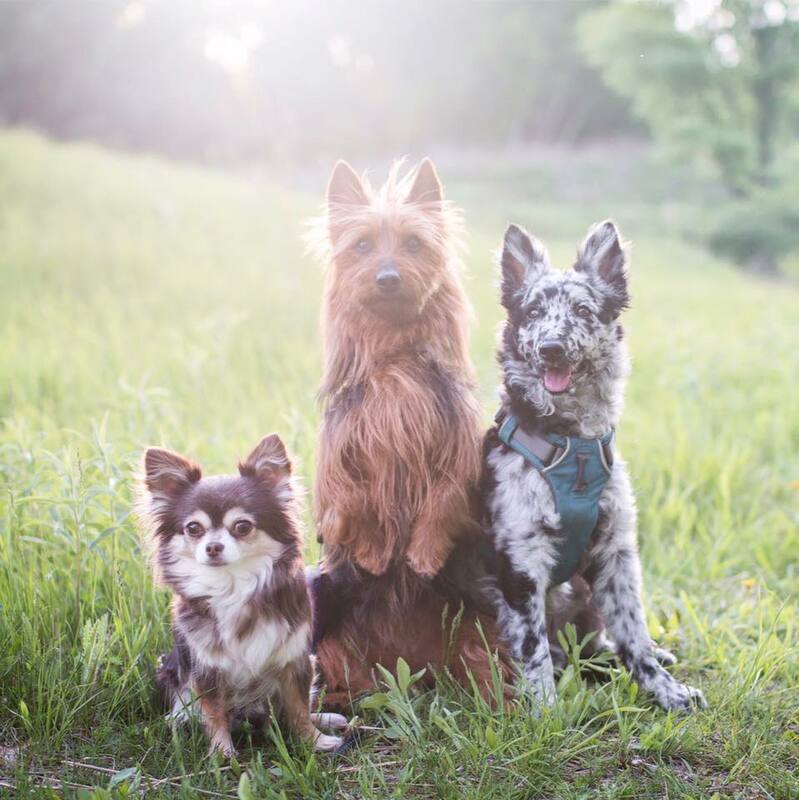 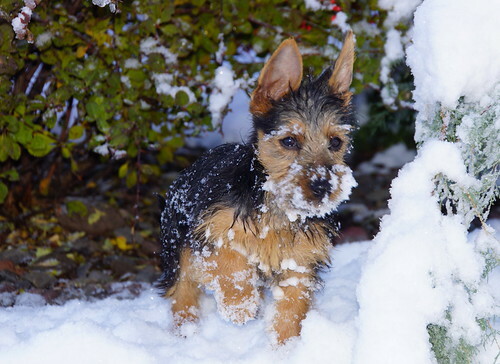 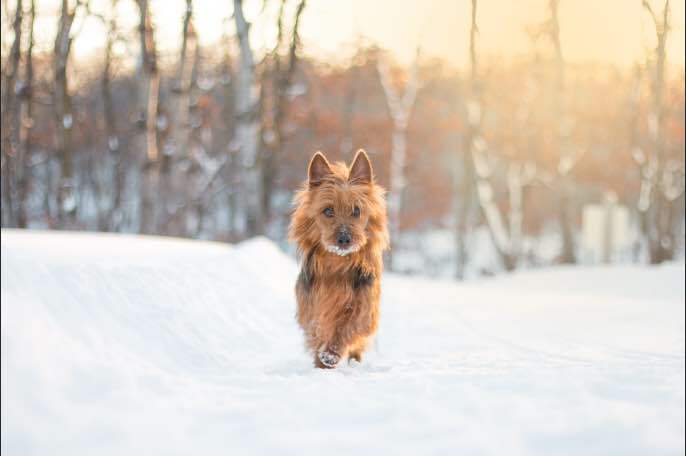 This sweet Australian terrier is loved around the globe, because of Sam's brilliant use of social media to showcase her dogs with amazing love, talent, photographic artistry, and a delightful sense of humor! Theresa - thank you so much for your love and support. And beautiful Judy - we love that dog a million times over! 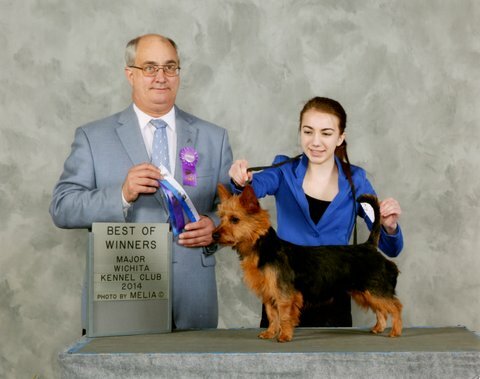 Among all her AKC Championship and Performance titles, she has had three group placements in conformation. 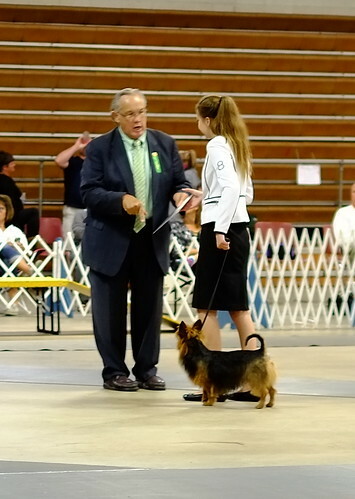 She was honored with a Group 3 from Charlotte Patterson in Cambridge in 2015, a Group 3 win at the Hutchinson show, and a Group 4 under John P. Wade in Rochester in 2016. Judy was ranked 4th in the AKC National Junior Agility competition in 2015 and was 4th ranked nationally among Australian terriers in agility in 2016, earning her an invitation to compete at the AKC/ Eukanuba Nationals in Agility. 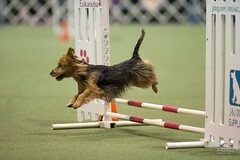 (That is a really big deal in the agility world). 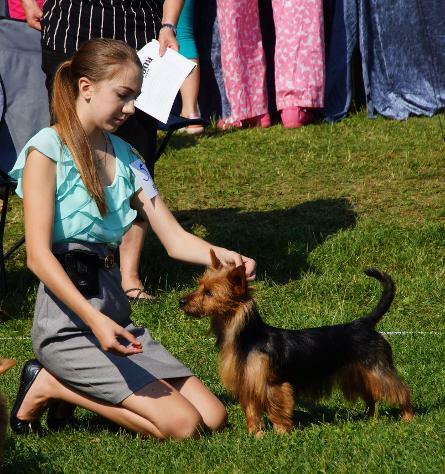 We are delighted that our beautiful girl Judy is owned by and living with a super young lady and top Junior Handler, Samantha Van Buren and her wonderful family. 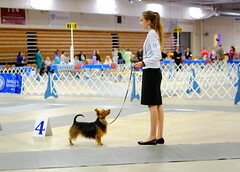 It was a perfect match for this lovely show prospect. 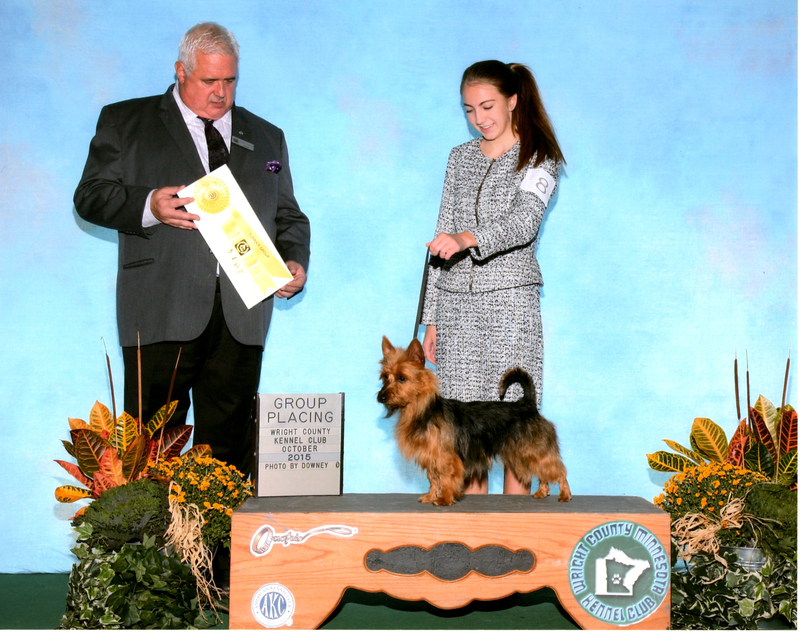 Thank you so much to Samantha and her family for all they do for Judy, showing the versatility of this wonderful breed at its best! Watch the famous and home bred Judy with her BFF Sunny! 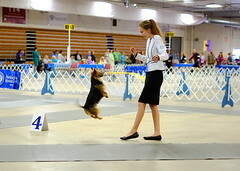 Video courtesy of her owner Samantha VanBuren.